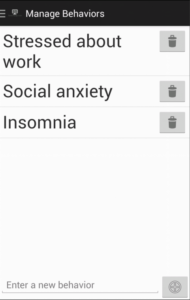 Android ListView with a Footer Form | End Your If During the creation of my first Android application – Behavior Therapy Tracker – I wanted to display a list of behaviors to manage; more importantly though, I wanted an easy way for users to add new behaviors to the list. My solution to this problem was simple, add a one-liner form to the footer of my ListView that contained the behaviors. 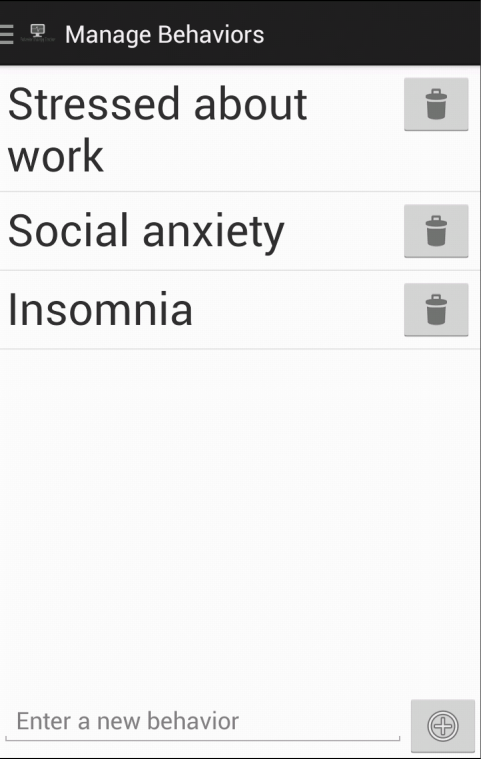 During the creation of my first Android application – Behavior Therapy Tracker – I wanted to display a list of behaviors to manage; more importantly though, I wanted an easy way for users to add new behaviors to the list. The above layout contains a relative layout with an inner linear layout and a ListView element. The LinearLayout contains my form. The key pieces that allow this to work are the layout_alignParentBottom. Inside this LinearLayout I have a simple EditText for form input and an ImageButton for adding a new behavior. The height of the LinearLayout is set to wrap_content to ensure it only takes up as much height as required. Outside of this LinearLayout contains my ListView that is populated by my activity. The ListView has two important properties set. Unlike the height of my LinearLayout, the ListView is set to fill_parent; meaning take up whatever space is left. The other important setting is the layout_above is set to be above the type_footer (my LinearLayout id).